SALT LAKE CITY September 10, 2017 – Attorney General Sean Reyes released the following extended statement marking World Suicide Prevention Day on September 10th, 2017. “I appreciate the efforts of the International Association of Suicide Prevention (IASP) and all of its partners to educate the world on what is a global health threat. I join many other voices worldwide in support of raising awareness and resources to prevent a growing number of suicides. In the U.S., suicide is the tenth leading cause of death and a recent CDC study showed an increased suicide rate every year from 1999 to 2014 among both women and men and in every age group except those 75 and older. The rates of suicide for teens and Military Veterans are particularly alarming. Sadly, Utah is no exception. 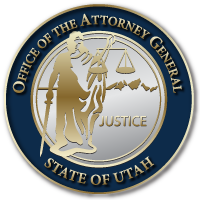 “For the last three and a half years, the Office of the Utah Attorney General has led an effort to respond to increased teen suicide, the leading cause of death of Utah children, ages 10-17. We have teamed with legislators, state agencies, mental health clinicians, suicide prevention advocates, the faith community, educators, law enforcement, parents, and teens themselves to address the tragic reality that far too many of our youth feel there is no hope and life is not worth living. “As we have traveled the state over the last several years, visiting with teens in groups or individually, so many of them have expressed feelings of being alone, judged, or without hope. While adolescence is or was a difficult transition time for nearly all of us, the isolation of today’s youth seems more prevalent and more deeply felt. Other factors like depression, being victims of bullying and abuse, eating disorders, drug use and addictions of various kinds, as well as other behavioral health and safety challenges can increase the risk of suicide among teens. “We have also worked closely with legislators to create a three digit number similar to 911 in Utah for immediate response to mental health and behavioral crises, including thoughts of or attempts at suicide. This statewide effort has led to discussions and proposed legislation at a national level for a similar 911-type number. “Like teens, the number of Military Veterans losing their lives from suicide across our nation is staggering. Daily, those losses number twenty or more. Utah has lost its fair share of Veterans who were willing to give their lives for their country and instead lost them battling personal demons and enemies seen and unseen that were often related to their service. This entry was posted in Recent Posts and tagged SafeUT, suicide prevention on September 10, 2017 .